﻿ Testimonials :: The HariKaraoke Band Gong Show! "We couldn't have been more thrilled with the band. Hopefully more people will see the light and have Harikaraoke to play their wedding. You were way better than a normal wedding band." "My advice to music-loving couples: If you're serious about having music at your DC wedding, please get a live band. If you're serious about having a great time, get the Harikaraoke band. Everyone -- I mean EVERYONE -- was dancing and having a blast, from the geezers to the toddlers. … In short -- Harikaraoke brings the party." "People are still talking about how much fun they had at our wedding thanks to this band. 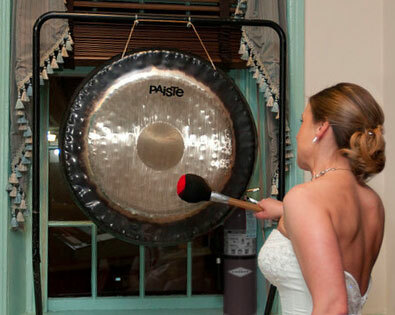 … Our wedding reception was the most fun I have ever had and that was largely due to the HariKaraoke Band." "Having the HariKaraoke Band play at our wedding made our great day even more perfect. 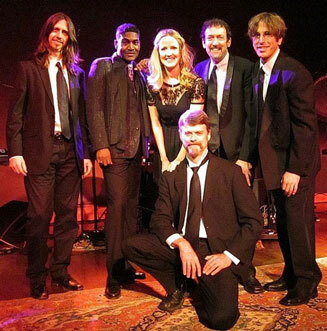 Everyone, every generation, had a blast… I would highly recommend this band for any wedding or event. Our wedding was the best party I’ve ever been to." "The HariKaraoke Band at a Wedding?" We are a wedding band, dressed in tuxedos, etc. We can start with cocktail and/or dinner music to set the mood. We progress into dance set(s) with our singer(s), or your DJ mix. We finish with live band karaoke, at your request. The HariKaraoke Band is comprised of full time professional musicians that have played countless standard wedding receptions. We know how to entertain at weddings, and we’ll work with you to create your perfect, special day. A regular dance band is fine, but adding live band karaoke to your party will send it over the top. So fresh, so real, so exciting. Your guests will leave with the biggest smiles and say, "that was the best party ever." Break from Tradition - Give them something to talk about! "Are you hesitant about having live band karaoke as your wedding band? Honestly, I was too. Despite marrying Kenny, the drummer, I was unsure of how the guests would react given the wide range of ages attending our reception. However, the HariKaraoke Band’s repertoire pleased everyone. In addition, the opportunity for guests to sing karaoke (individually or with a group) made the reception a whole lot of fun. Guests truly loved it, and commented that it was the best wedding reception they had ever attended."